It’s The Daily Grind That Will Take You Towards Your Dream. I work with a lot of people who have dreams of starting their own businesses or have aspirations to climb to the top of the corporate ladder and the sad thing is most of them are going to fail to achieve these goals. As most people recognise, success in anything doesn’t happen overnight. It takes years and years of practice. Even those businesses that develop an app that suddenly takes off in the app stores and turn the company from a small, single operator business into a multi-million dollar business did not happen overnight. The developers spent years and years learning to code and developing their craft in order to create an app that resonates with millions of people. People don’t go from a high-level manager in a medium-sized company into a sort after consultant overnight. No matter what their reputation in the business world is, going from manager to a successful business consultant takes years of contact development, building a track record in consulting and proven results. It just does not happen overnight. And that’s the thing about success, while most people see the end result, what they rarely acknowledge is the years of craft development, the commitment of time and the sacrifices that have taken place over years in order to get to a level where people say you are successful. The daily grind of learning, growing and developing your skills are requirements that you are going to have to commit to if you want to achieve any kind of success. Doing the Golden 10 every evening, for example, so you are focused each day on what is important to you and maintaining that focus every day. It means learning skills that will enhance your abilities, practising existing skills so they remain relevant in today’s world and creating work that you show to the world so they can see for themselves what you are capable of doing. If you are not prepared to put the daily work in, then you are not prepared to succeed. It is really that simple. Dreaming, thinking and talking about achieving success does not achieve anything. At some point, you are going to have to take action and make those dreams, thoughts and words become reality. 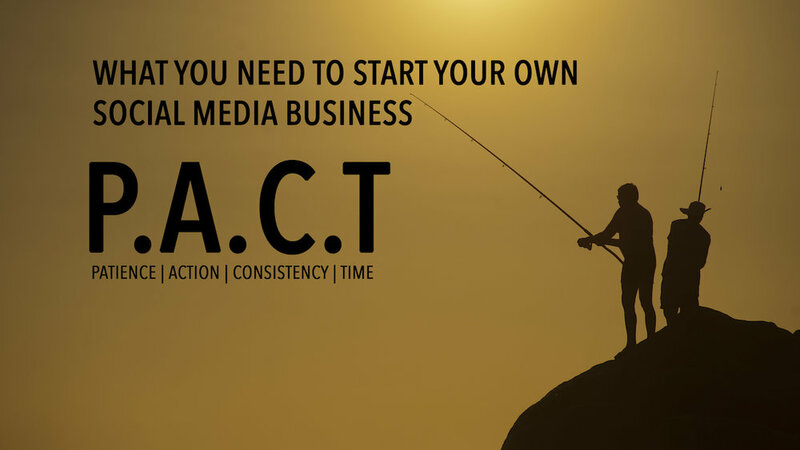 Action could be reading the books, taking the courses, and building the content. Each one has its own part to play and of course, you are going to have to allow sufficient time to mature these skills and build your fan base. Without any of these, nothing is going to happen to move you towards building the future you want to build. The problem we have as human beings is we are all experts at making excuses for not doing. We think we have more time than we do and we are more than happy to allow ourselves to be distracted by other shinier projects, other people and of course the naysayers who will tell you you won’t succeed and you should forget about it and live a ‘normal’ unambitious life. The reality is it is tough to be successful — it has always been tough. This is why so few people become truly successful. It takes a single-minded purpose, a lot of time and a determination that cannot be broken by the next new shiny project offered to you. You have to do the daily work, day in day out and build whatever it is you want to build without allowing yourself to be distracted by anyone or anything. If you are not prepared to do that, then you are not going to make your ambitions, goals and dreams come true. So, ask yourself, are you prepared to do the daily grind to make your goals happen? My purpose is to help one million people by 2020 to live the lives they desire. To help people find happiness and become better organised and more productive so they can do more of the important things in life. If you want to learn more about how I can help you, have a look at the various online courses I have. There might be something there that could change your life!